Debra Langley is an experienced international brand builder and strategist who provides consulting services to fashion, retail and related technology brands. She is also a partner with Full Circle Partners, an investment and advisory firm that supports high growth companies with funding, advice, and specialist services; and an advisor to Start Today Ventures, a specialized fund based in Asia that focuses on companies that are reinventing the business of fashion. 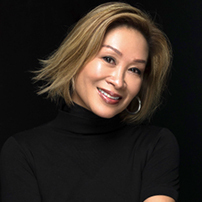 Debra was previously the founder and CEO of Inverted Edge, an integrated fashion retail platform; and before that, President, DKNY JEANS International; President, Asia-Pacific for Borderlinx, a global ecommerce enabler; and executive director at Blackrun Ventures, a global investment company. Debra has also worked in development roles in New York and Hong Kong for The Economist Group, and the international division of Hearst Magazines. She is based in Singapore.